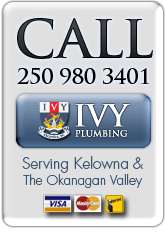 For the best in service for all your plumbing needs in Kelowna and across the Okanagan Valley, you can count on the plumbing experts from Ivy Plumbing. With satisfaction guaranteed service, and on-time plumbers every time, you'll appreciate our commitment to providing the best in local plumbing repairs and new installations. Read about the Ivy Plumbing satisfaction guaranteed service here, and testimonials from our other delighted customers here. 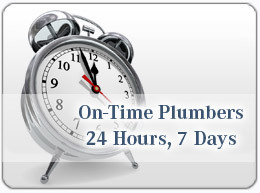 RAPID RESPONSE & ON-TIME SERVICE: Ivy Plumbing fast, on-time plumbers at a time that's convenient to you, 24 hours, 7 days. UP-FRONT, PER JOB PRICING: Ivy Plumbing will come out to your home or business for a complete assessment and quote for any work needing done. To give you total peace of mind we supply a full price up-front for all work required, and you only have to pay the same price no matter how long the work ends up taking us. 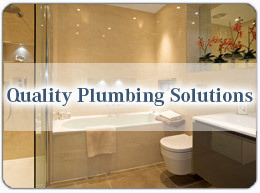 PROFESSIONAL PLUMBERS: We only employ highly skilled, professional plumbing technicians to provide you with the best plumbing service. You can rely on your technician to arrive on time, be polite, clean and tidy and always work hard to make sure your job is done right first time. SATISFACTION GUARANTEED SERVICE: Ivy Plumbing plumbers take great pride in their work and work hard to give you the level of service you deserve. 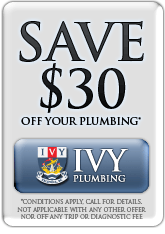 We're so confident you'll enjoy the superior Ivy Plumbing level of service, we guarantee it. ALL PLUMBING REPAIRS & INSTALLATIONS: Ivy Plumbing is fully licensed and insured and our plumbers have the skill and expertise to handle all your plumbing needs. From minor repairs to complete new installations including hot water, bathroom and kitchen renovations, drains, sewers, pipes and leaks, we have the experience and knowledge to solve your plumbing issues fast. 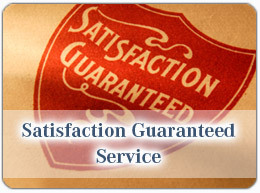 WRITTEN GUARANTEES: All Ivy Plumbing workmanship is backed up by a signed, written guarantee. CLEAN AND TIDY: All our plumbers wear work shoe covers and use work area mats whilst in your home to keep any mess to a minimum. They will clean up after themselves and leave your home as clean and tidy as when they arrived. 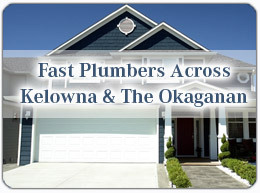 For satisfaction guaranteed service and expert plumbing installations, repairs and maintenance for your Kelowna and the Okanagan Valley home, call and speak with the plumbing experts at Ivy Plumbing today.